Describing the NRPA conference speakers as subject matter experts is an understatement. The hundreds of speakers who present bring lifetimes of experience and a sincere passion for our industry. Not only will you learn things that you can implement immediately at your agency, you will also make long-term connections that will help you well into your career. With a dozen education tracks and more than 200 sessions, you can attend sessions covering leadership, aquatics, marketing, revenue development, customer relations and much more. There are also sessions geared specifically to director-level leaders, young professionals and students. Demonstrate your fiscal responsibility by showing your employer all the ways you can save money on attendance. NRPA members automatically get a discount. Register by the early-bird deadline to save hundreds of dollars. NRPA Premier Member agencies that purchase four full-package registrations, receive the fifth registration for free. Those are only a few of the points you can use to help persuade your employer. To find even more tips and a justification letter template, visit our website here. 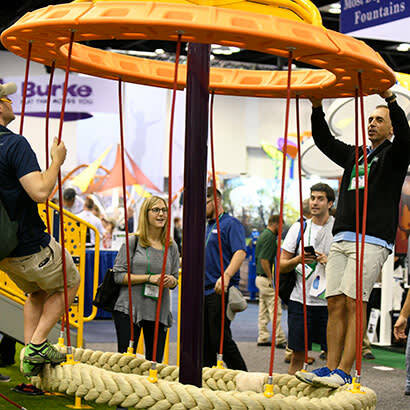 Don’t miss this opportunity to attend the largest park and recreation conference in the world. Registration opens May 13. More information. Matt Brubaker is NRPA's Director of Marketing.